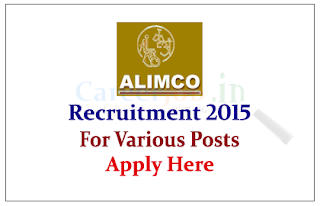 Artificial Limbs Manufacturing Corporation of India is recruiting for the various posts for the year of 2015. 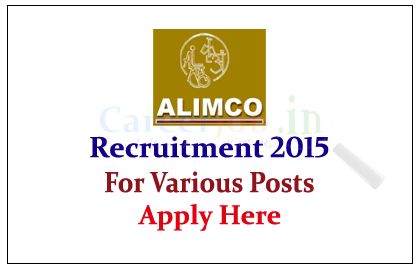 Eligible candidate can apply on or before 31thJuly 2015. Eligible Candidates can send their application to below mentioned address on or before 31.07.2015, for more details check official Notification. 2. Copies of Educational Certificates (Degree, PG Degree and Doctorate). 4. Copies of proof of experience. 7. Copy of Certificate of disability in case of Physically Handicapped.